It's a classic old-fashioned haunted house story - set in a big box Swedish furniture superstore. 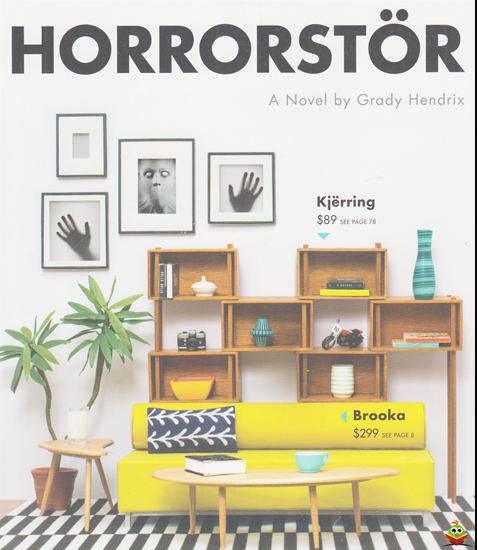 Designed like a retail catalogue, Horrorstor offers a creepy read with mass appeal-perfect for Halloween tables! Something strange is happening at the Orsk furniture superstore in Cleveland, Ohio. Every morning, employees arrive to find broken Kjerring wardrobes, shattered Brooka glassware, and vandalized Liripip sofa beds-clearly, someone or something is up to no good. To unravel the mystery, five young employees volunteer for a long dusk-till-dawn shift-and they encounter horrors that defy imagination. Along the way, author Grady Hendrix infuses sly social commentary on the nature of work in the new twenty-first century economy.